To say it's been a challenging 12 months for the pop-culture event formerly known as Salt Lake Comic Con would be an understatement. A legal challenge from San Diego ComicCon forced a name change to FanX. Allegations of inappropriate conduct by a guest at a previous event generated controversy. And one of 2018's high-profile announced guests, Ben Affleck, withdrew after entering rehab last month. Nevertheless, FanX soldiers on, bringing an impressive roster of famous faces, voices and names from the worlds of science-fiction and fantasy, comic books, movies, television, animation, literature, gaming and more. 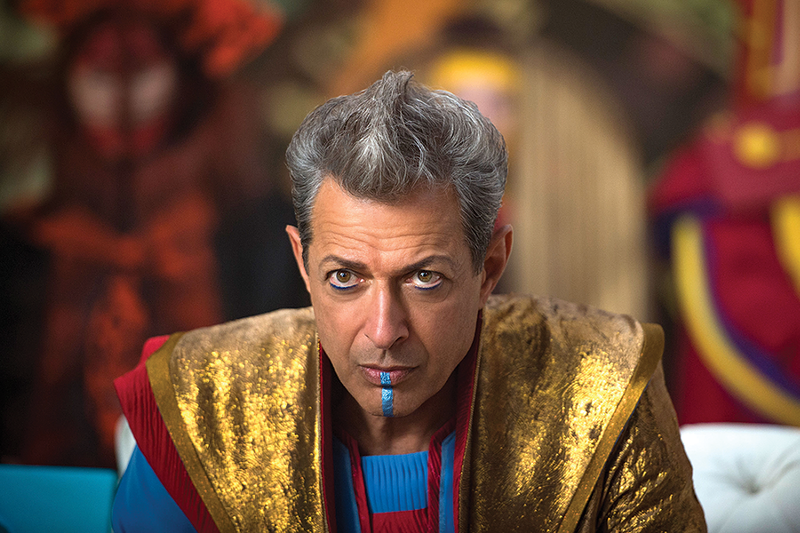 Guests set at press time include Jeff Goldblum (Jurassic Park, The Fly, pictured), Tim Curry (The Rocky Horror Picture Show), Dave Bautista (Guardians of the Galaxy), David Tennant (Doctor Who, Jessica Jones), Evangeline Lilly (Ant-Man and the Wasp), Gaten Matarazzo (Stranger Things), Lucy Lawless (Xena), Jason Momoa (Justice League, Game of Thrones) and Robby Benson and Paige O'Hara (the voices of Disney's animated Beauty and the Beast). We humans make sense of the world through stories—whether we're trying to understand the origins of the universe, the arc of our own lives or the way we interact with one another. But a story isn't always just the words or details of the narrative; it can be about the ability a person has to bring that narrative to life, embodying the emotion, humor, tragedy or absurdity of situations that resonate beyond their specific setting. Nearly 30 years ago, Karen Ashton—then the president of the Friends of the Orem Public Library—wanted to bring a celebration of that storytelling tradition to Utah County. 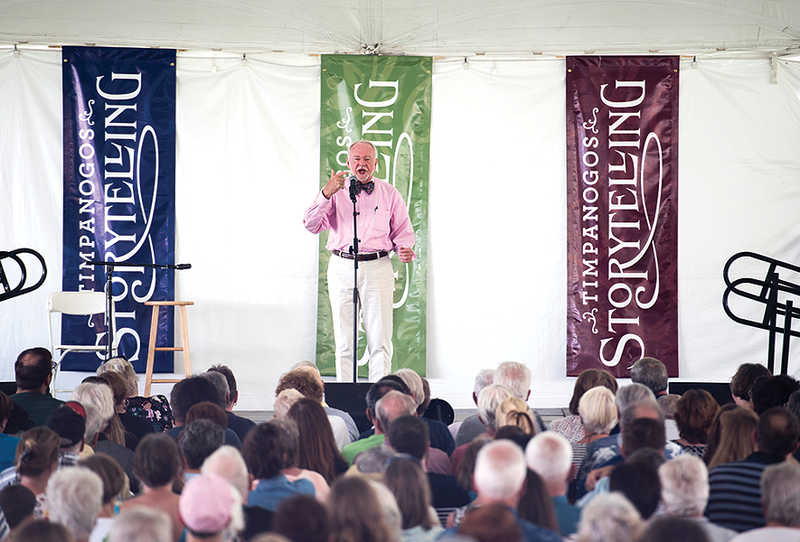 From its first year, when it was staged on Ashton's own property, the Timpanogos Storytelling Festival has grown into a weekend that attracts some of the most accomplished storytellers in the country, as well as some 25,000 spectators, to the current location at Thanksgiving Point's Ashton Gardens. As architects of one of the world's first advanced civilizations, Greeks carry a lingering legacy that combines harmony, philosophy and democracy with an inherent desire to share those gifts with others. That heritage is still alive and vital today, and there's no more telling example than this annual local celebration of Greek culture, a vivid example of how this community generously shares its unique 2,500-year-old heritage. Indeed, the Greeks' zest for life is contagious, an obvious reason why the festival is always so eagerly anticipated. As it has in the past, the Greek Festival allows local Hellenes to welcome visitors to a weekend of fun-filled activities that share traditions brought to Utah 120 years ago with the arrival of the first Greek immigrants. In addition, church tours afford non-Orthodox visitors the chance to encounter the beauty of the Greek Orthodox church and learn about 2,000 years of faith. 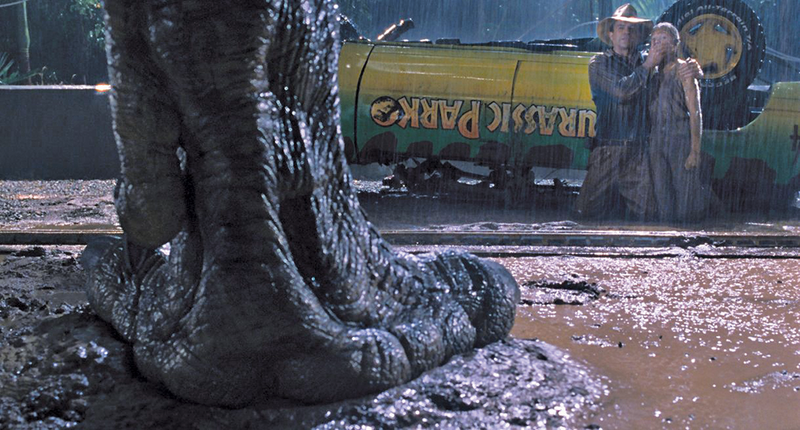 Rain or shine, Usana Amphitheatre is projectingJurassic Parkon the big screen in celebration of its 25-year reign as one of the most iconic monster movies of all time. While many theaters across the country are hosting their own anniversary screenings, Usana's is unique in that the Utah Symphony is on hand to perform the score live. Seating is available in sections with actual seats, but attendees can also purchase a cheaper lawn ticket, bring their own blankets and watch characters try to survive in a world dominated by velociraptors and T. rexes. And if we're being honest, is there really any better way to celebrate the waning days of summer heat with the family than by watching dinosaurs chasing and eating a whole bunch of people? While not an official part of the Utah Symphony's schedule for its 2018-19 Films in Concert Series, the evening is an extension of these popular performances where the symphony performs a movie's score while it plays for the audience. If you're put off by Usana's notoriously chaotic parking, the venue offers a premium parking pass for an additional $25 when you buy a ticket.